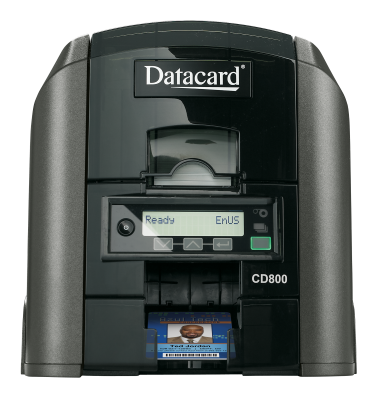 The Datacard CD800 card printer brings the New Look of Leadership to enterprise class desktop card printers, built for outstanding speed, printing quality, flexibility and reliable performance. The Datacard® CD800™ card printer efficiently produces great-looking ID cards in less time than any other comparable desktop printer. It’s engineered and built to handle the higher volumes and technical requirements of state and local government, corporate and educational card issuance. When your application demands speed, performance and reliability in a compact and efficient unit, the CD800 card printer is the ideal choice.